Amazon is expected to hire Democratic firm SKDKnickerbocker to counter growing opposition to its plan to open a 4M sq. 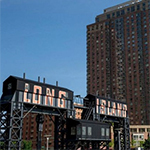 ft. campus in Long Island City, Queens. SKDKnick, which is part of Mark Penn’s Stagwell Group, is expected to handle media relations, strategy and public outreach, according to the Wall Street Journal. Community leaders, as well as newly elected Congresswoman Alexandria Ocasio-Cortez, fret over Amazon’s impact on the neighborhood, strains on the NYC infrastructure and hefty financial incentives doled out to billionaire Jeff Bezos’ company. New York Governor Andrew Cuomo and NYC Mayor Bill de Blasio enthusiastically support the Amazon project, claiming it will generate up to 25K jobs. New York’s City Council plans a series of three meetings on the Amazon move. The first is scheduled for Dec. 12.